Who is ready to start making Christmas Gifts? I’m showing you today one of the many Handmade Christmas Gifts to come in the next few weeks. 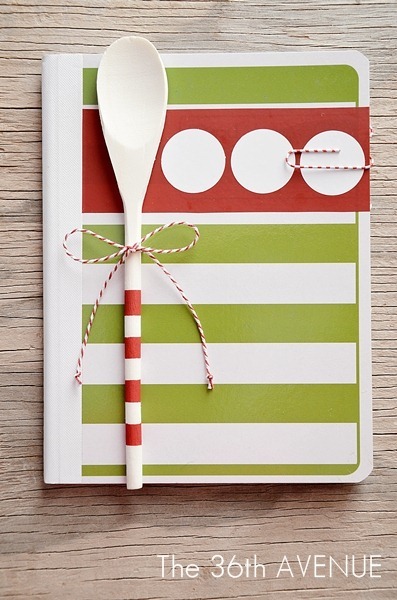 Check out this DIY Recipe Book… perfect to keep those favorite special Christmas Recipes in one place. Christmas Recipes from the past and those that will become new favorite recipes for the future. Here is a tutorial for you! You’ll need a note book. Paint: I love Santa Red from DecoArt. This is the perfect red! Punch Holder and Craft Paper. Let’s make this Recipe Book together! 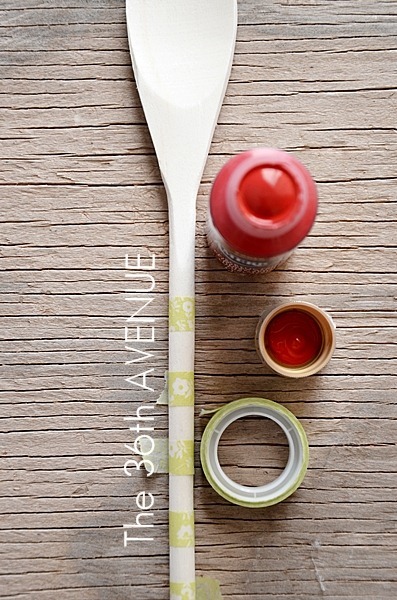 First we are going to give the wooden spoon some fun Santa Red design. 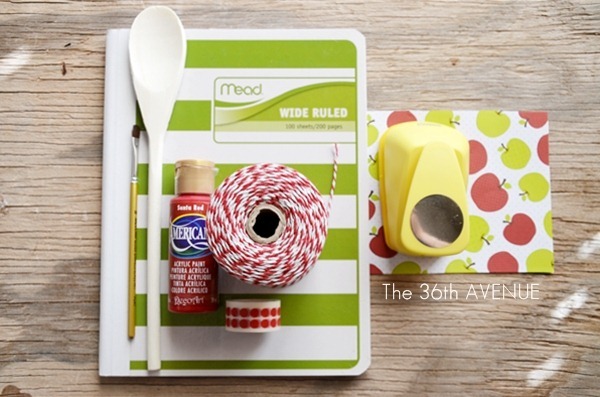 Get your tape and make the stripes as wide as you like. 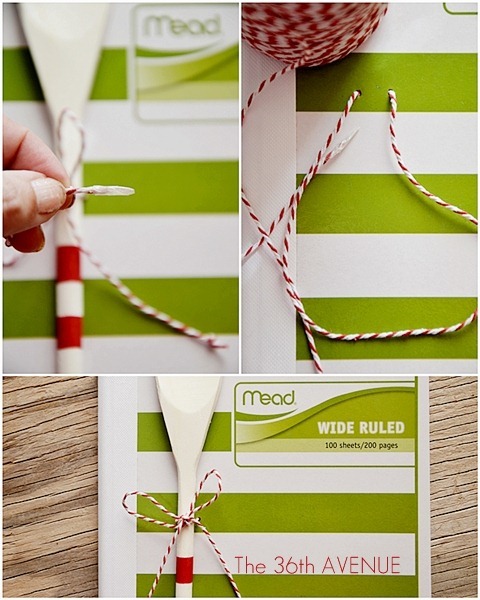 Then paint them, pull the tape and let the red festive stripes dry! While drying work on the book. 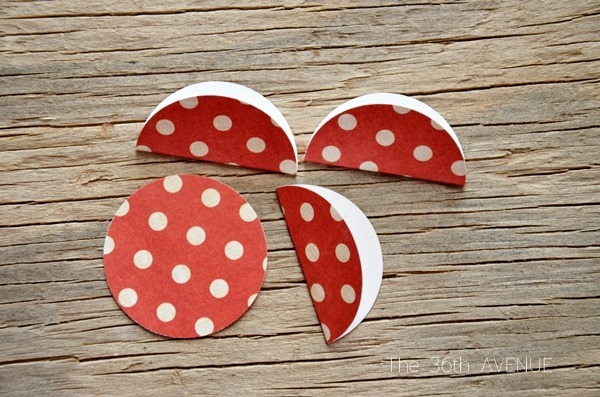 Punch some circles from your scrapbooking paper and fold them in half. Then get each folded circle and glue it on the page to divide each section. Now that the inside of the book is done it is time to finish the outside. 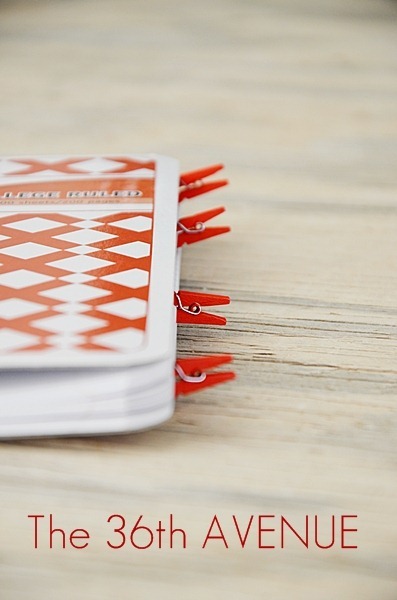 Make two holes in the right side of your note book and thread a string of Bakers Twine through it. I like to add some tape to the end of the twine so it is easier to thread. 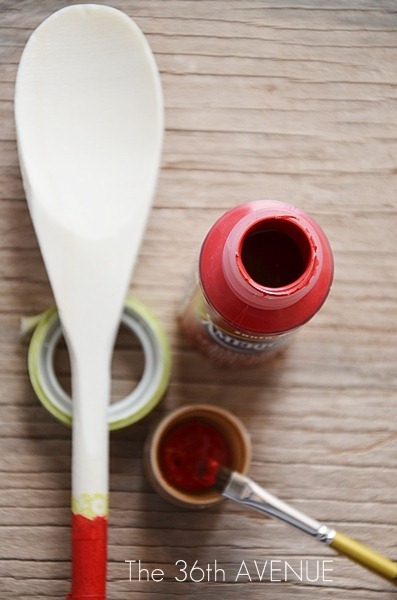 Place the spoon in place and tie it with a little bow. Make sure to knot the end of the twine so it doesn’t fray. At this point it was super cute but the corner logo on the notebook was really bothering me. Solution? I cut a piece of red vinyl and stuck it right on top of it. To add a little more fun I punched a few white vinyl circles and I stuck them right on top of the red. 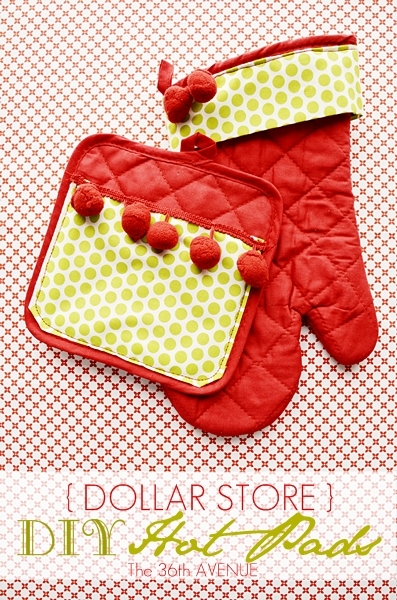 Fun, cute, useful and an affordable Christmas Handmade Gift Under 5 Dollar! DIY Hot Pads that I made with a set of Hot Pads from the Dollar Store. Make sure to check out the DIY Hot Pads Tutorial HERE. 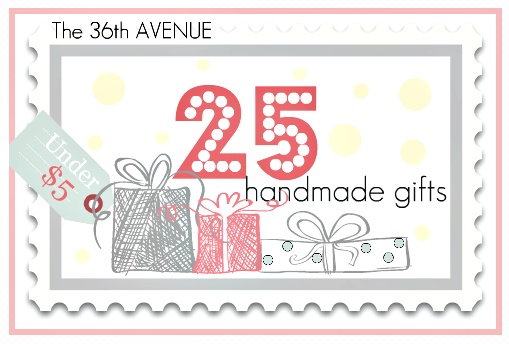 25 Handmade Gifts Under $5. These are awesome ideas! This is very cute. I’m wanting to make one for my granddaughter for her graduation. Thank-you for a wonderful idea. You are very welcome Joan and what a great gift for a grad… Love it! How did you punch holes in the binder to attach the spoon? Thanks for this neat idea! Nancy, I used a leather hole puncher. SUPER CUTE! This would be fun for my cookie exchange! 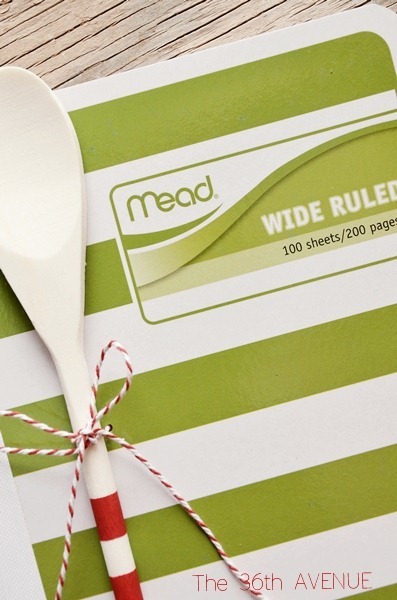 Did you hand write the recipes in it? I don’t have pretty hand writing, and thinking they could be printed on the computer and glues/taped in. Wonder if I could find some cute duct tape that color coordinates for the tabs ….who knows, with all of the fun duct tape out these days, there might be some w/ a Christmas print on it! I used to make similar books for family members/friends using smaller lined journals, adding some of my own favorite recipes. 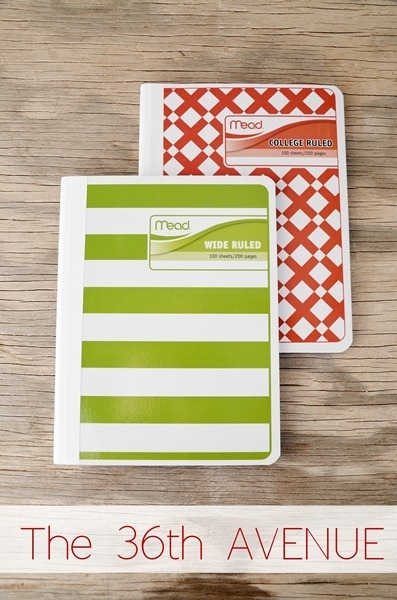 I love those notebooks! I’ve never seen any that fun! Thank you Carole and Happy New Year! Tamara I love your idea and your name. I am from the Canary Islands and the last time I heard your name was there. Love it! I love this idea. Simple, easy, quirky, and the receipent can put it to good use. 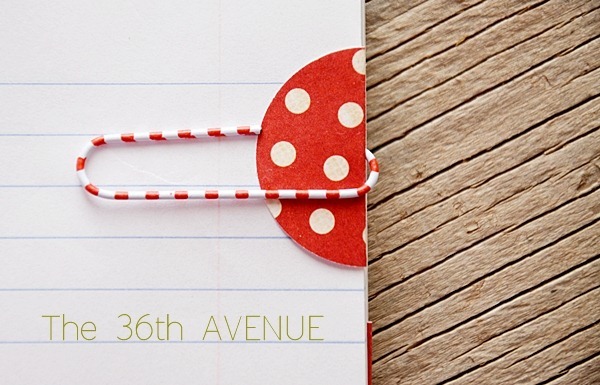 This is such a wonderfully creative idea! I’ll be tucking this away for sure!